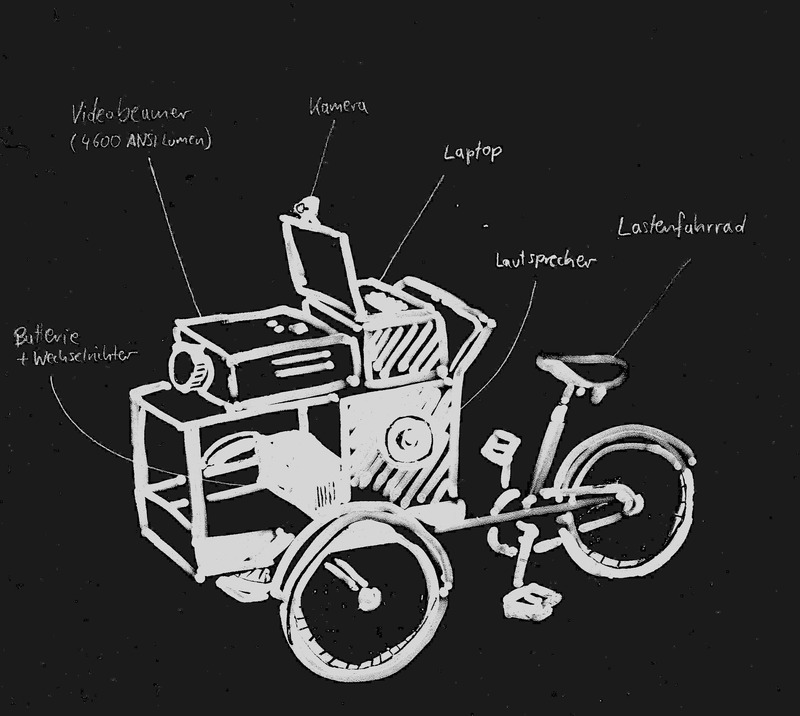 Following in the grand tradition of our sister cells in New York, Vienna, and Montreal, we have recently secured some funding to produce a Mobile Broadcast Unit – a Copenhagen-style, front-loaded cargo bike, outfitted with a deep cycle battery, power inverter, beamer, laptop, camera, and sound system with fm transmission. This will allow us to do guerilla projection bombing anywhere in Berlin. Anyone with interest and/or experience in bike modding and mobile power is welcome to contact us and become involved. Thanks to the Berlin Chapter of the Awesome Foundation and KulturAmt Nuekölln for the support. We’ll make you proud! This entry was posted in Berlin Cell, Light Rider and tagged Light Rider. Bookmark the permalink.